Peer Association establishes associations between documents. File Linking allows a single document to be accessible from multiple locations without physically duplicating the document. Version Browser allows access to older document previews and metadata. Auditing provides a complete audit log for every file and folder. 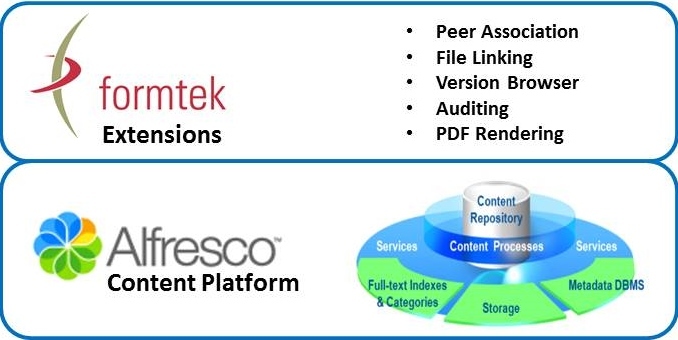 PDF Rendering provides a PDF rendition of an Alfresco-supported file type. Easy installation via JAR file. Send information about the checked extensions. © Copyright 2003-2018 Formtek, Inc.